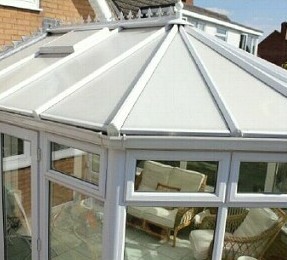 Need your conservatory or conservatory roof cleaned? We offer a high quality professional cleaning service. We use the latest environmentally friendly cleaning methods for additional safety a top quality finish. This system allows us to work safely from the ground without the need of ladders. Apart from giving an excellent, long lasting clean, it greatly reduces the possibility of any damage to glass or framework. Regular cleaning of your conservatory roof will keep it free from contaminants to ensure the seals around your conservatory roof are not compromised. As a professional window cleaning company we are fully insured and our uniformed staff have been trained by the British Window Cleaning Academy. Pro-Smart provides a cleaning service for conservatories in and around St Albans, as well as Hatfield, Hemel Hempstead, Abbots Langley and other surrounding areas. Copyright © Pro Smart Herts - All Rights Reserved.